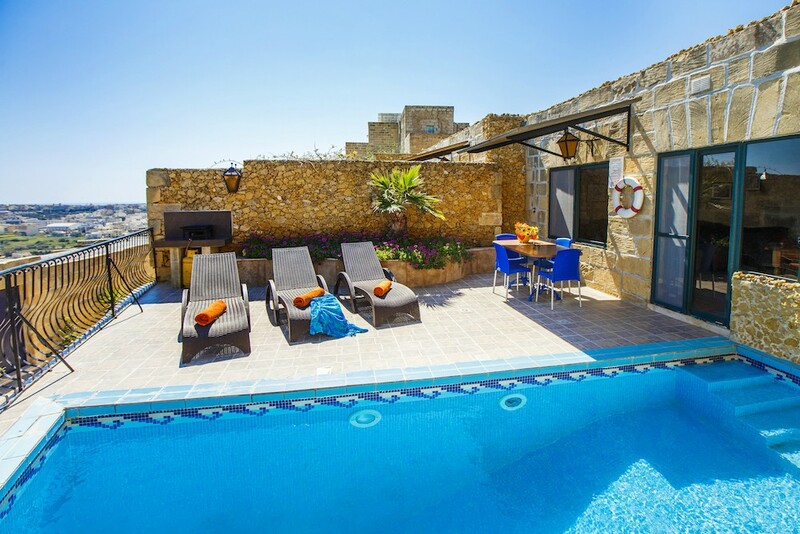 Cosy 2 bedroom farmhouse with a private pool enjoying some of the best views on the island. The perfect retreat for a couple or a family of 4. Ta' Salvu is accessed via a walkway decorated with plants and flowers. On entrance, one is welcomed through a lovely hallway with the master bedroom being located on the left hand side of the hallway, and the single bedroom on the right. 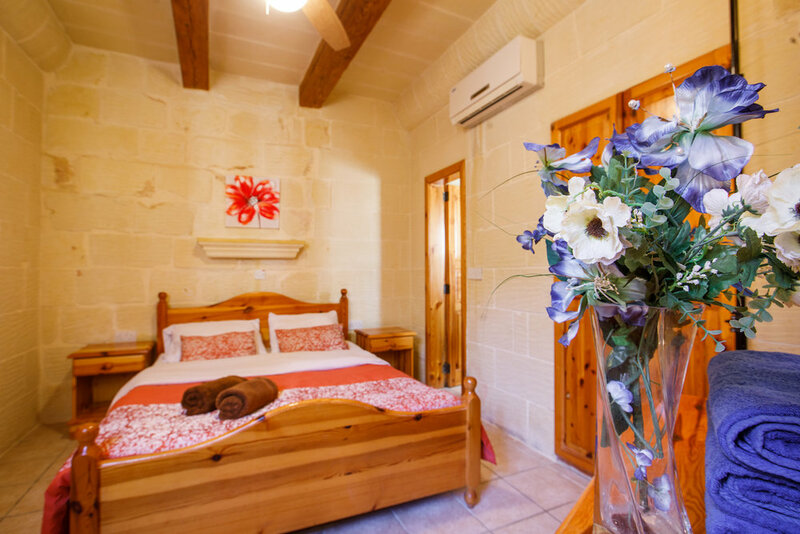 Both bedrooms enjoy a private en-suite shower and the view of the walkway. The hall leads to a tastefully furnished living / dining and kitchen area, a utility room and a spare toilet. The living / dining have large bay windows overlooking the pool terrace and views outside. The landscaped pool terrace is equipped with a BBQ (operates with gas - provided), sun loungers, garden furniture and umbrella. The views enjoyed are truly remarkable, especially during sunset.